Shu Cosmetic Surgery Specializes In Liposuction and Breast Implants for the Minneapolis and St. Paul MN areas. Shu Cosmetic Surgery is one of the leading cosmetic treatment centers in the Minneapolis & St. Paul region. Our founder, Dr. Steven Shu is an office proceduralist, specializing in office based medical and cosmetic procedures and surgeries with emphasizing on the minimally invasive techniques. Dr. Shu is a pioneer in performing some of the advanced cosmetic surgeries in Minnesota, including Vaser Hi Def Liposculpture, Stem Cell Enhanced Natural Breast Augmentation, Laser Vaginal Rejuvenation, IDEAL Breast Lift and breast augmentation surgeries with local anesthesia with oral and IV sedation. Additionally, Shu Cosmetic Surgery offers advanced liposuction in Minnesota with three advanced technologies: Vaser Liposuction, Laser Liposuction and AquaShape (Body Jet Lipo) – giving you the most choice and targeted results. Your initial consultation is complimentary! Choose the cosmetic treatment center in Minneapolis and St. Paul with experience and provides the best care possible in a warm, friendly, and confidential environment. 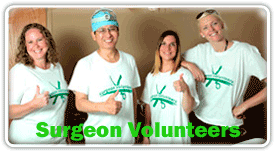 Dr. Steven Shu Launches Surgeon Volunteers, Aims to Bring Medical Relief to Haiti and Cambodia!